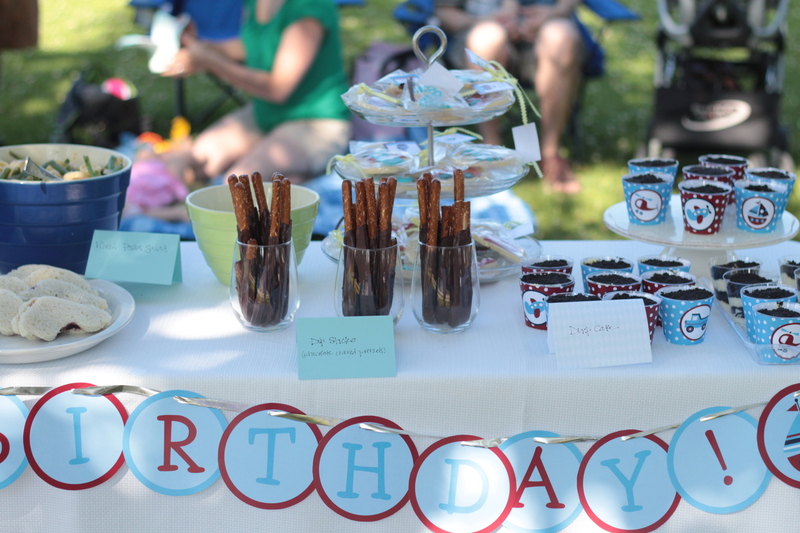 My son turned 2 about a month ago, and when I was planning his party, I told myself I was going to go easy. Nothing too time-consuming, just keep it simple. I kept telling myself this because last year, for his 1st birthday, I spent a lot of time planning and making food, invitations, etc. You can see it all here. Plus, with being pregnant, I have begun to lose my energy. Being pregnant the first time around was way easier than the second! Toddlers wear you out. But in the end, it was worth it. 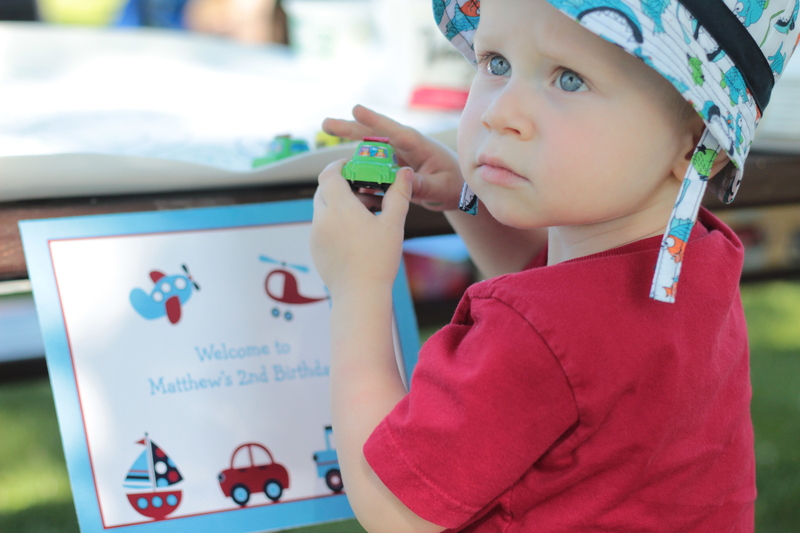 Seeing the look on Matthew’s face when his party was all about trucks, trains, and cars made me happy. And celebrating with family and friends made it worth the while. 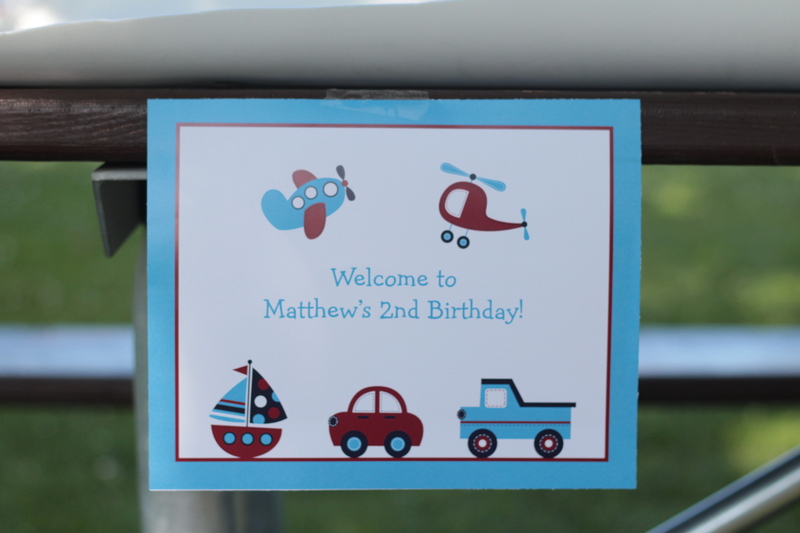 I found cute invitations from this Etsy shop, and everything was based off it. 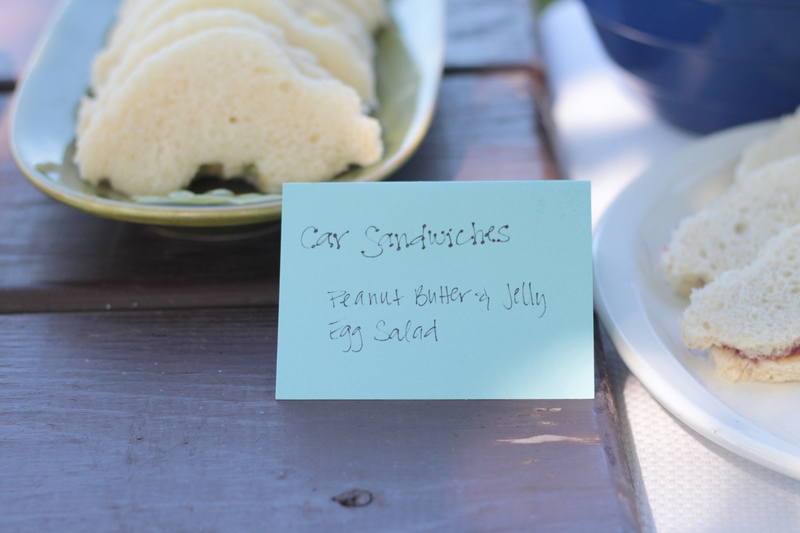 I also made egg salad sandwiches and peanut butter and jelly sandwiches, and had them in the shapes of cars. 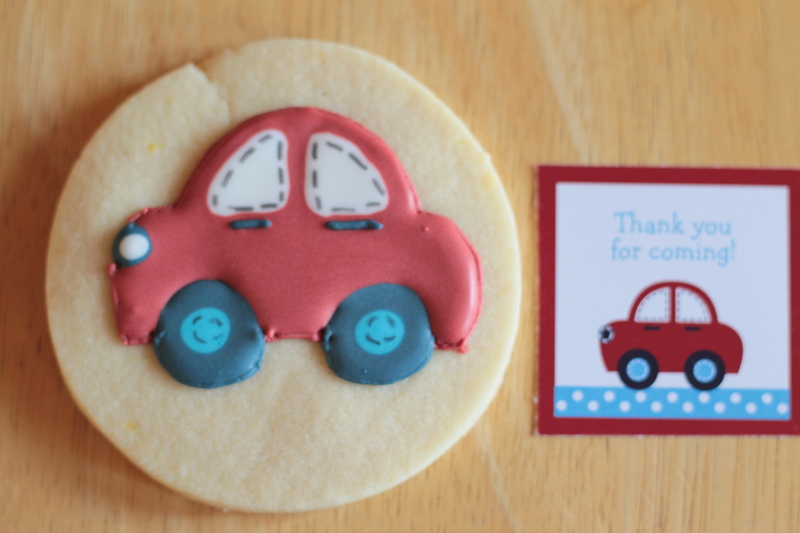 I found this really cute car cookie cutter and cut out bread using the cutter. And for dessert, well, you can’t just have one option. 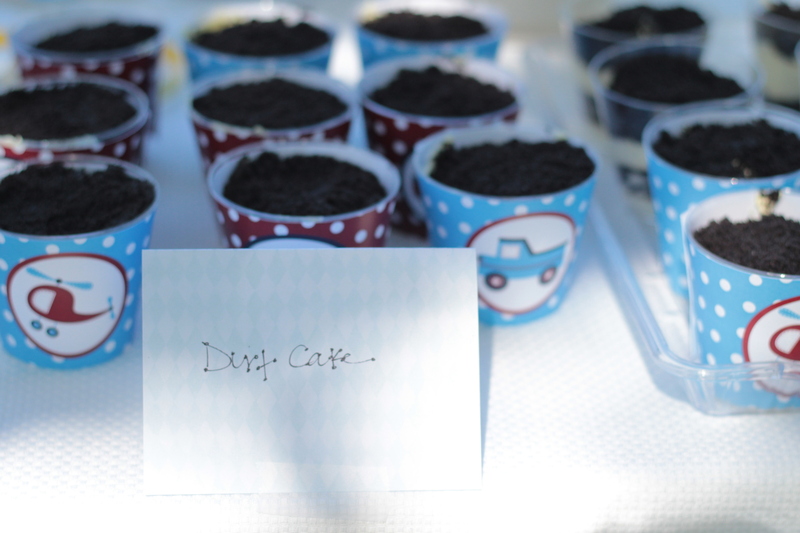 :) I made dirt cake. You can find the recipe for it here. 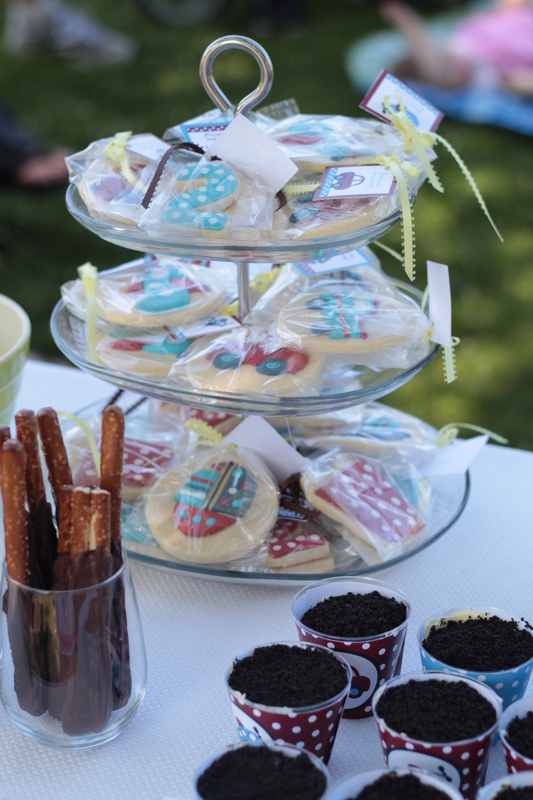 I put them in small cups and used a cupcake holder to surround the clear plastic. 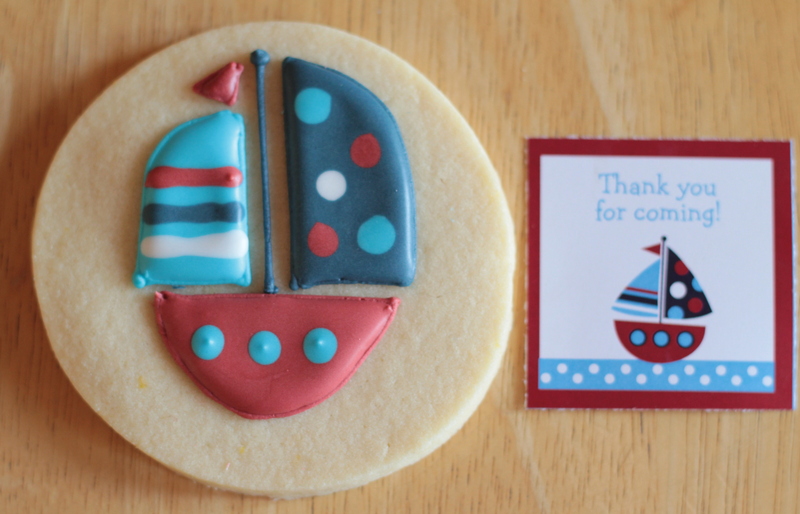 And finally, I made sugar cookies based off the invitation. It has been about four months since I had decorated, and not only was I a bit rusty, I forgot how hard circles were! 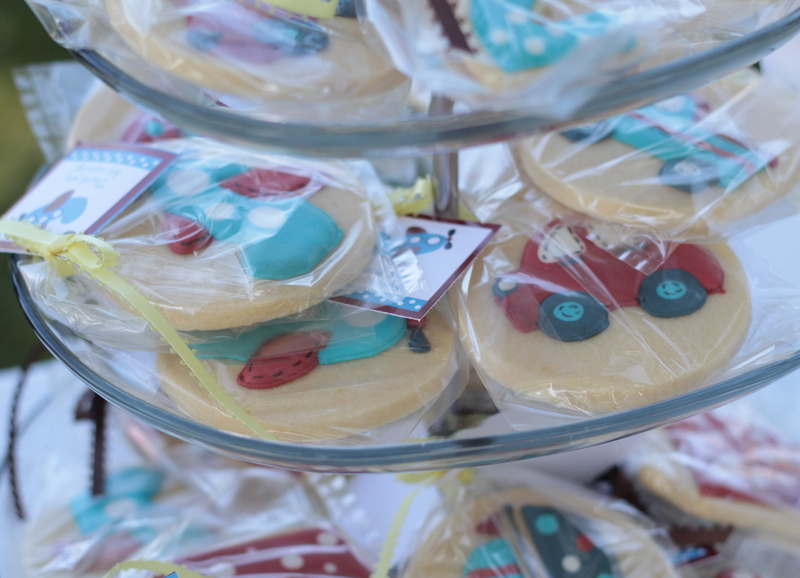 But they still turned out cute and everyone loved them. 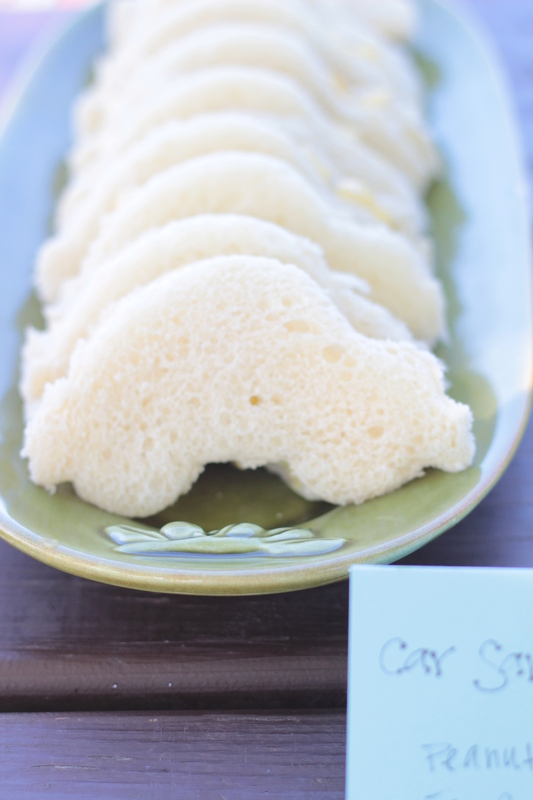 I made lemon sugar cookies and you can find the recipes for that and royal icing here. (Look in the middle of the post.) 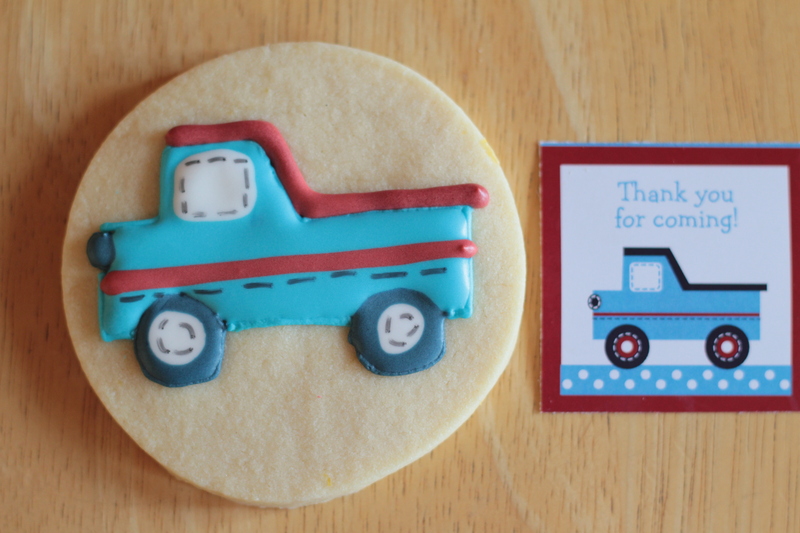 You can find tips on sugar cookie decorating here. Here is each one before I packaged them. The last thing I did was have my husband create a race track for the kiddos to drive small cars on. 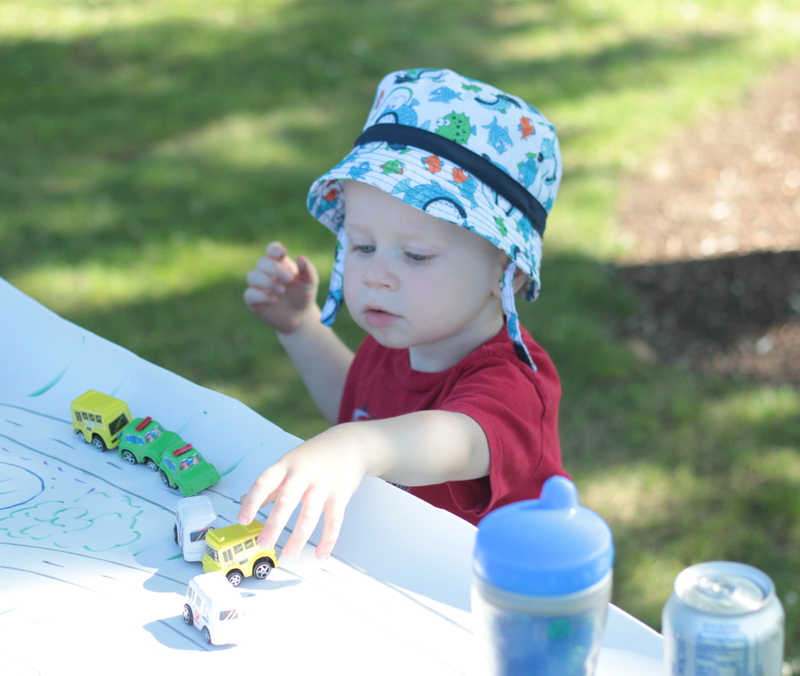 Matthew had a blast and really only wanted to play with the cars and trucks. Well, until we told him about dessert. Then he momentarily put the race track on hiatus. Hi, can you tell me how did your husband create the race track and also do you have recipe for the pasta salad? 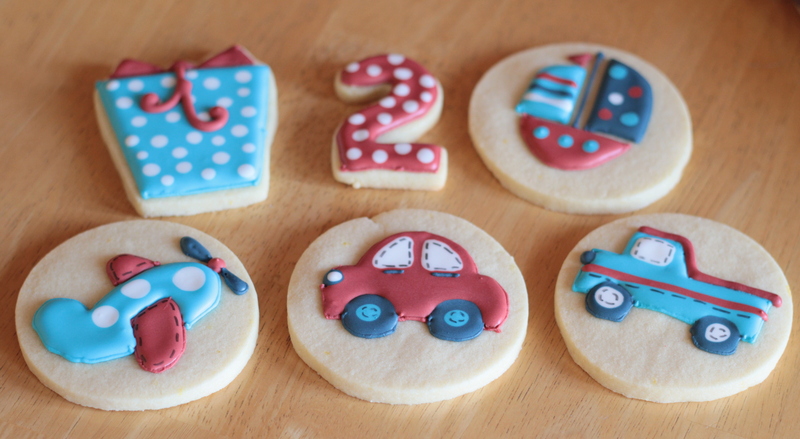 I’m planning a car theme birthday party for my two year old boy. Thanks! I bought a roll of thin foam at JoAnns, and then my husband drew a race track using permanent markers. 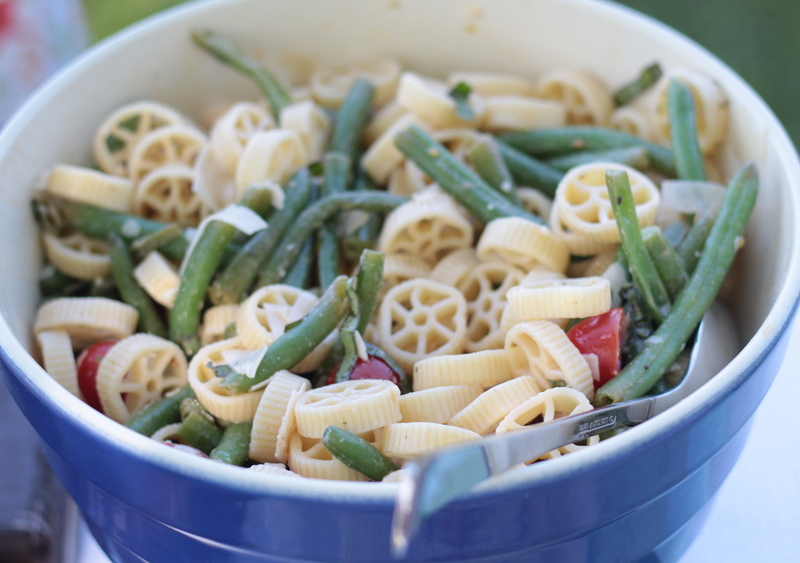 For the pasta salad, the recipe comes from Cooks Illustrated. Since it’s copy-written and I didn’t make any alterations, I can’t share the recipe, but I will share the link. Good luck! SOOO cute! And very creative. 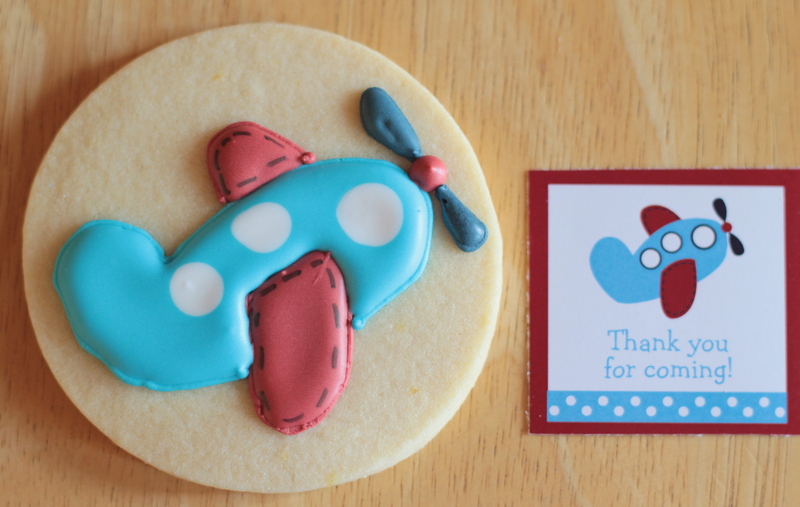 The cookies look really nice. And that first picture of Matthew is too cute! Very creative Holly! Our first grandson, Silas just turned one yesterday. He is so much fun. Will have to show my daughter, Erin your blog for his next birthday! Congratulations on expecting your 2nd child. How fun!